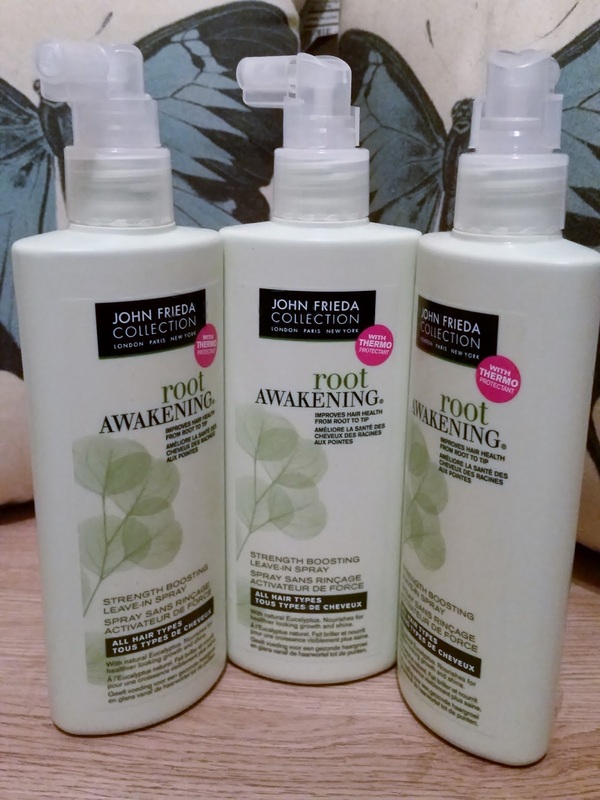 Having used the John Frieda Root Awakening years back and loved the product back then, i haven't a clue why i never went back to it ? After styling and colouring products being used i'm always looking for products to put the nourishment back into my hair, that these factors can take out. 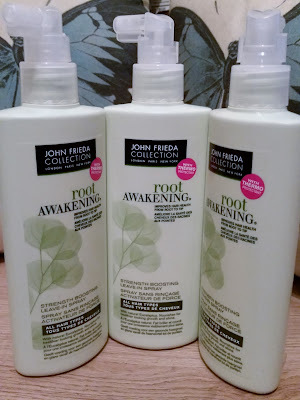 Looking about on eBay, i came across this range and suddenly i remembered why i loved the root awakening range before! It leaves hair so soft and manageable but also makes it LOOK healthy. 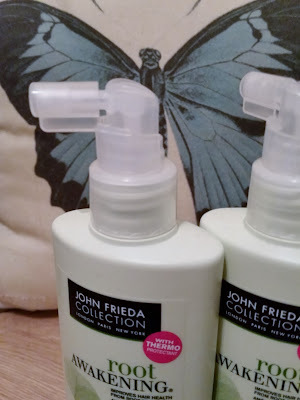 spray is so easy to use and smells great! levels of natural Eucalyptus is proven to improve hair's strength and visible health. which will "wake-up" healthier-looking new growth. shinier and 3 times healthier hair. The bottle is 200ml and the spray nozzle is designed for easy use to help the product hit those roots in all the right places. You can definitely smell the Eucalyptus and pepper mint but this is a really nice fresh smell and your hair is still smelling gorgeous at the end of the day. This doesn't weigh hair down and you don't feel any stickiness or that greasy feeling on your freshly washed hair. those annoying knots your hair can get at times. With its added Thermo protection this is a great product to protect from heat styling and also put any nourishment back. Your hair is left, smelling great, looking great and so much stronger. 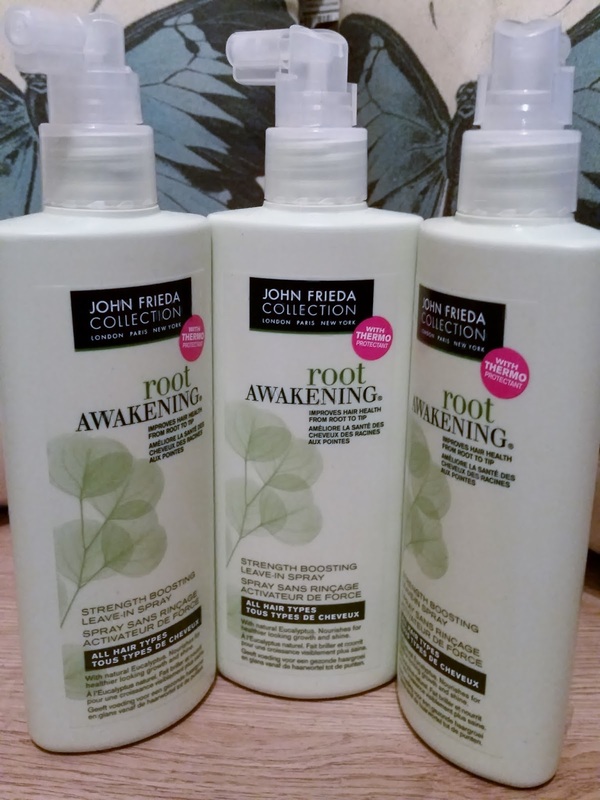 John Frieda-Root Awakening-Strength Boosting Leave-In Spray.